The course goes through fundamentals of demand and supply in global energy markets, main primary energy sources (conventional and unconventional oil and gas, coal, renewables, and nuclear), electricity markets. Global energy scenarios are then presented with their impact on the world’s energy-related CO2 emissions and the oil and gas industry’s investments. This course is intended for technical, management, R&D, and HSE communities. 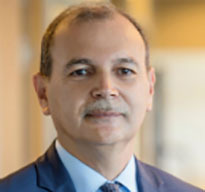 Dr. Kamel Ben-Naceur joined the International Energy Agency (I.E.A.) as director for sustainability, technology and outlooks in September 2015. Ben-Naceur has three and a half decades of experience in the energy and industry sectors around the world in both the public and private sectors. After joining the research and development division of Schlumberger, he took charge of developing several key technologies in the upstream sector. He then moved into oil and gas management roles in Africa, North and South America, Europe, the former Soviet Union, the Middle East, and North Africa. In 2004, he established the oilfield services business unit developing carbon capture and storage prospects, working extensively with regulators and policy makers. In 2006, Ben-Naceur was seconded to the IEA energy technology perspectives division, where he contributed to policy publications on industrial energy efficiency as well as the IEA’s annual Energy Technology Perspectives publication. In 2007, he joined the IEA World Energy Outlook team. In 2009, he was appointed chief economist at Schlumberger in Paris, before becoming president of the Schlumberger technology business in Rio de Janeiro in 2011. In this role, he developed challenging technological solutions for the offshore sectors with an emphasis on deepwater and pre-salt exploration. From 2014 to 2015, Ben-Naceur became Tunisia’s minister for industry, energy and mines in a government tasked with leading the country’s first fully democratic elections and restoring it’s economic fundamentals. He implemented new policies for energy subsidies rationalization, and won approval for legislation on renewable energy implementation. At the end of his tenure, he returned to Schlumberger as senior advisor and vice president for technology, based in Paris. Ben-Naceur has served on the boards of a number of international businesses and organizations, and is the recipient of several prestigious medals and honors. A French-Tunisian dual national, Ben-Naceur is a graduate of École Polytechnique and École Normale Supérieure in Paris. He is the co-author of 13 books and over 120 articles on energy and sustainability.